Have you ever wanted a grand tour of the universe, with an astrophysicist as your tour guide, all wrapped up with text explanations, diagrams and awesome videos? This is it, and you’ll love it. 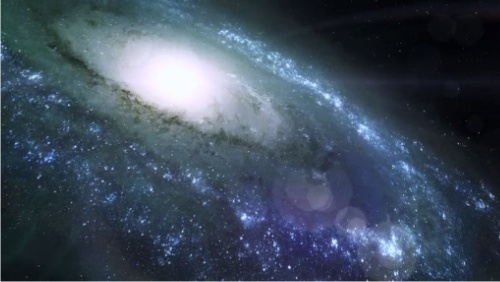 In this new iOS (iPad only) app, based on the DVD, “Wonders of the Universe,” Dr. Cox and Andrew Cohen take us on a grand tour of the universe, Carl Sagan style, starting from subatomic particles and going all the way up to galaxies, the origin of the universe, neutron stars and black holes. It’s published by HarperCollins in partnership with the BBC. The app starts out with very good navigational instruction, so you’ll know how to work your way through the text, diagrams and videos. Each chapter is visually stunning, technically accurate, and awe-inspiring. I don’t think the intention here is to provide a full class on astronomy. However, for those who may have an interest in the subject, this is a great starting point. After all, first comes the wonder, then the history, then the astronomy and mathematics. This is the wonder part. Here’s an excerpt from the press release. “WONDERS was designed specifically on iOS 5 and combines the capabilities of seven different apps into one, which makes the experience unlike any other app out there. Seven apps in one, all of which are linked 3D environments to explore. High-resolution visuals optimized for the new iPad’s Retina display. 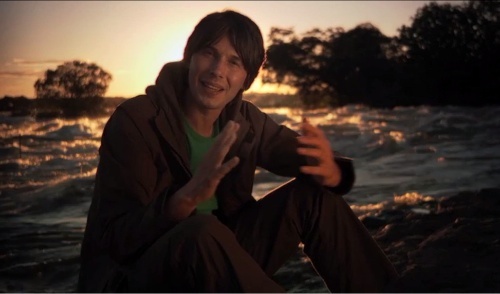 Two-and-a-half hours of (streaming) BBC video from Brian Cox’s award-winning series. 210 full-color articles that tell the story of the Universe and reveal its wonders. The technical level of the material is at about the college level. While the visuals and presentation are awesome, suitable for all ages and levels, there will be some challenging technical descriptions as well, and the reader will be periodically presented with very high level scientific language. For example, in describing neutron stars, the author makes a reference to neutron degeneracy pressure that keeps the star from collapsing. That’s a term that could stagger the less well read on astrophysics. However, if the technical language leads to curiosity and further research, then the student is off to a great start. Absolutely. There is a tremendous amount of visual excitement in this very modestly priced app. If you stick with it all the way through, you’ll be both inspired and challenged. The next step could be something much more serious, a textbook on astronomy, for example, to answer all those questions you have about the physics, but that’s okay. Learning astronomy, at a high level, takes years and years. Like a few other apps I’ve mentioned, Emerald Observatory, Spyglass and tChess Pro, this is a showcase app that closes the deal for having an iPad. Brian Cox, Ph.D. His chats are terrific. A single app won’t teach you everything about astronomy, but this app is an awesome start. Treat it as your guided tour by a very articulate and personable instructor. From there, your imagination will take you wherever you want to go. My guess is that this app alone will launch hundreds of students on a career in astronomy and raise the technical level of thousands of other readers. The publisher has uploaded a video that describes the app and how to use it. This kind of supporting effort demonstrates a professional approach to the publication and promotion of the app. I always appreciate that. 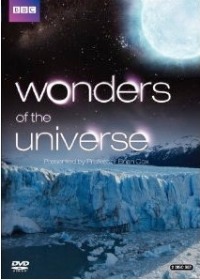 Wonders of the Universe requires iOS 5 and at least an iPad 2. It utilizes the Retina display if used on an iPad 3. A network connection is required for the streaming videos. It’s a hefty app at 343 MB and will take awhile to download on Wi-Fi (recommended). It’s available only in English. You will want this app. * Particle physicists, like Dr. Cox, often work on cosmological issues and become cross-trained as astrophysicists, like Dr. Lisa Randall. For example, Dr. Cox also works at the CERN Large Hadron Collider in Switzerland. Awesome presentation created by a superb development team and a noted astrophysicist, Retina display support, easy navigation, integrated and beautiful diagrams, very professional streaming video, stunning photos. An extraordinary learning tool. The technical level in some place is at a high level and will require some supplemental reading and research by beginners.